What is the difference between a courtesy car and car hire? Ever wonder why your car insurance company tries to sell you hire car cover when you already have a courtesy car? If you have comprehensive car insurance, you probably have a courtesy car included as a standard part of your policy – but it might not be available after all insurable incidents. Most car insurance companies offer an optional hire car or enhanced courtesy car benefit which provides additional cover. Often times, courtesy car cover is only claimable when your car is repairable after the incident and taken to an approved repairer. This is because the courtesy car is commonly supplied by the repairer. They may supply the car for as long as it takes them to complete the repairs, but some providers do limit the amount of time you can keep the courtesy car. If your car is deemed a write off or is stolen and unrecovered, the courtesy car most likely would not be available because the car is not being repaired. Some types of insured vehicles can be excluded from the courtesy car cover, as well, such as vans or people carriers. If your car is modified for use with disabilities, your provider may be able to supply a car with the same or similar modifications. When making your claim and asking for the courtesy car, it’s important to provide all relevant details so your insurance provider can supply the best car as possible for your needs under the limitations of your cover. When should I consider hire car cover? If having alternative transportation is essential for you, it is recommended that you check the courtesy car cover available from the providers you get quotes from. If there is no courtesy car cover included as standard, or if the standard cover does not meet your needs, you may be able to purchase an additional enhanced courtesy car or hire car product to fill the gaps in the standard cover. Admiral offers an additional hire car to enhance the service we can provide our customers when they need to make a claim. If your standard courtesy car excludes cases where your car is written off or stolen, the enhanced courtesy car or hire car cover should include these incidents. 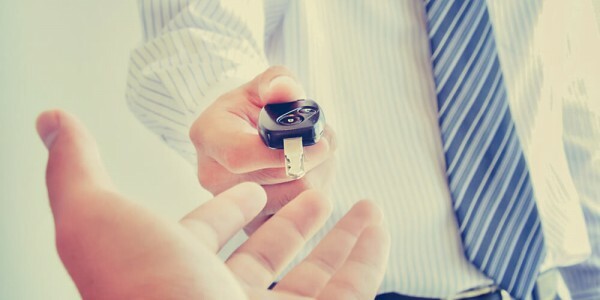 Unlike the standard, which is often provided for an unlimited amount of time, the hire car is usually only available until the settlement is agreed upon, up to a maximum of 14 to 28 days. If you have children and need room for a pram and other accessories, use your car for the school run, or if you use your car for business and travel the motorway frequently, you may want to include the hire car on your policy as the car provided will often be closer in size and type to your own vehicle than the standard courtesy car. Some providers will pay a daily amount towards alternative transportation if they cannot arrange a suitable hire car to meet your specific needs regarding size and disability modifications For customers who are claiming against their hire car, Admiral offers them the option of taking a one-time payout instead of the hire car at the time they make the claim. Before purchasing a new policy, be sure to check the courtesy car and hire car cover details and exclusions if having alternative transportation is important to you. The standard cover may not be suitable for your particular needs, and when you’re making a claim and in need of alternative transportation is not a good time to find out you’re not covered. Admiral’s knowledgeable customer service staff are always happy to answer any questions you may have about your cover, and provide you with suitable options to meet your needs, about hire car or any aspect of your policy. Have more questions around courtesy cars? Check out our helpful guide for more information. 4870 People had a quote in the last 24 hours.